Jaguar Land Rover suffered a $4 billion loss this month. Credit investors need to start worrying about what’s coming next. It’s not hard to see why. Half of the value of the writedown – some 1.55 billion pounds – comes out of tangible assets, which now won’t generate the value the company previously thought due to weak market conditions in China, technology disruptions, and rising debt costs. The rest is on intangibles, representing money that’s already flowed out of the business. Of the cash spent on products and investments (a measure the company uses to assess investment in future technologies and growth), a big chunk relates to expenditure on intangibles such as technology and intellectual property. So why is it only now that these expenses were judged to be too high? Did no one kick the tires on what the returns would be, or consider whether they should have been writing down these assets faster? With so little detail, it’s hard to know whether the impairments just taken should now be considered conservative, or aggressive. 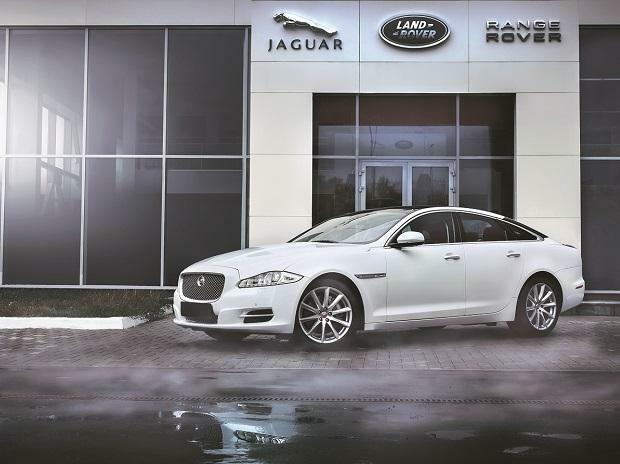 The charge should also be a warning for Jaguar Land Rover’s increasingly precarious cash and liquidity position. The company’s liquidity – all its cash plus a 1.94 billion pound revolving credit facility due in 2022 – has deteriorated dramatically in the past two years, dropping to around 4.4 billion pounds. Meanwhile, its total debt has continued to rise, to 4.7 billion pounds as of Dec. 31. While its persistently negative free cash flows have improved from the depths of the first fiscal half, S&P Global Ratings estimates that its measure of free operating cash will continue to be significant in the red for two years. If the cash burn matches the average 670 million pounds a quarter seen since March 2017, JLR may struggle to make it through another year. Meanwhile, debt to Ebitda is rising, and Jaguar Land Rover’s implied equity value, based on a sum-of-the-parts analysis of Tata Motors, is shrinking. The company continues to spend billions of pounds on investment and hundreds of millions more in dividends to its parent, despite deepening operational woes that we’ve written about here and here. Worryingly, operating cash flow is falling relative to capital expenditure, making it harder to pay for investments without dipping into debt. If the company’s attempts to deliver on its cost-cutting program continue failing to deliver and sales don’t improve, further spending on tangible assets will be the only credible way to improve cash flows – but Jaguar Land Rover is already backed too far into that particular corner. Free cash flow remains in the red, at a negative 361 million pounds in the December quarter. Management has attributed that to the pace of its technology investments, but given the weak return on previous expenditures, investors are entitled to ask whether future spending could do any better. One option out there is financial support from Tata Motors. But the Indian business doesn’t look strong enough for the task, with an improvement in its commercial vehicle unit already slowing. Such a bailout would be hard to administer without damaging a business that has only just emerged from Jaguar Land Rover’s shadow. Another is that 1.9 billion pounds undrawn revolving credit facility – but the moment Jaguar Land Rover taps its loan of last resort, investors will take it as a sign of a severe cash crunch. Management hasn’t been shy to tap debt markets, but investors there are demanding an increasingly high price. While global junk bonds have rallied this year, Jaguar Land Rover’s 4.5 per cent bonds due 2026 have moved in the opposite direction. If it goes back to the market for more cash, it’s hard to see how a business with deteriorating liquidity and few other options could sell paper for less than 8 per cent, the current yield on the 2026 notes. In China, Jaguar Land Rover continues to perform far worse than its luxury peers, as we’ve written. Its underwhelming turnaround plan has only realized about a fifth of its 2.5 billion pounds savings target. Investors should hope management stops the cash from bleeding as fast as it has been spending.